This trail starts out nice and easy so to get your legs warmed up. There is a logical flow to the pathway and you'll see the occasional orange plaque with an arrow on it nailed to the odd tree. There are some relatively steep and short climbs followed with some nice flat sections and downhills. 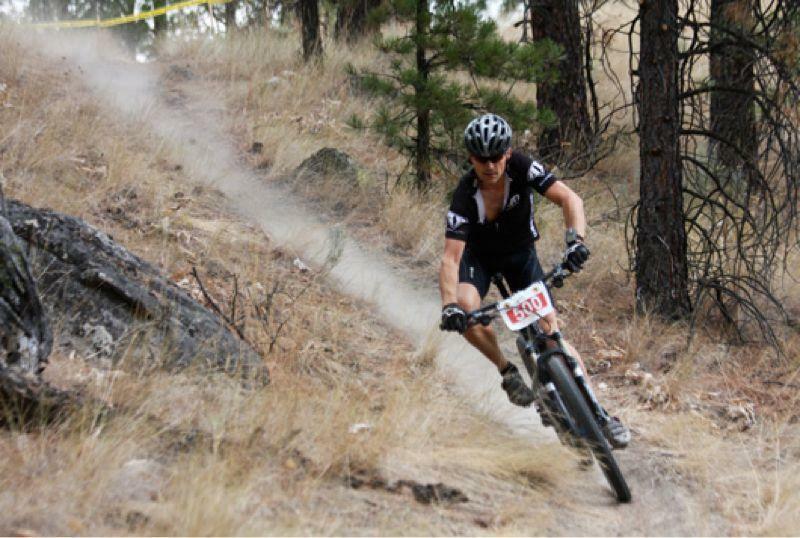 The downhill sections are a series of banked switchbacks and/or long flowing descents. No man-made jumps or obsticals at all, but one or two rock jumps. Nothing feels overly steep or dicey, so you can really point and go. The last accent section however is a leg burner, so save your energy. Be mindful of one particular downhill section that has deep and very loose gravel...it got me a few times,(this is towards the end of the loop). If you are not into some of the steep climbs, there are ways to circumvent them. Have fun!! Review: Mostly flowy singletrack, some really nice berm work on most of the downhill sections. Climbs are short but high intensity. Lot of up and down makes it a true XC experience. Great overall trail. Review: This is a true cross country trail and is for the most part open air, not so much in the trees. Some brutal climbs, but they don't last too long. Test of Humanity/Cartwright Mountain MTB Trail 4.00 out of 5 based on 2 ratings. 2 user reviews.